Kosovo said on Monday it was imposing an import tax of 10% on all goods produced in Serbia and Bosnia and Herzegovina but not on international brands. 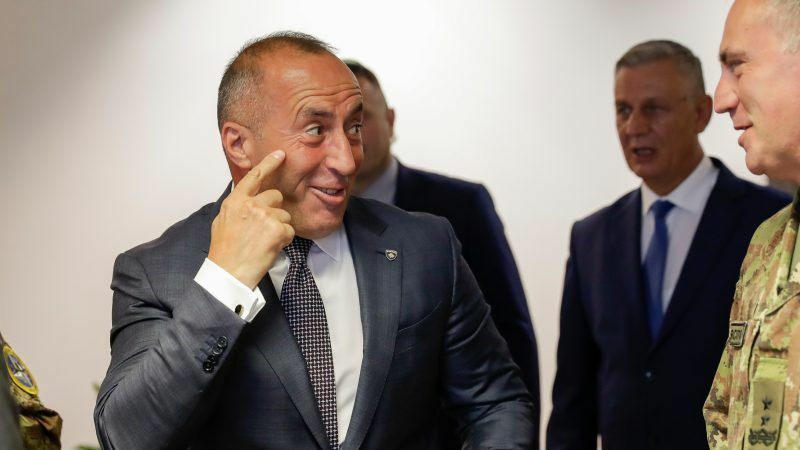 Prime Minister Ramush Haradinaj said the move was aimed at “protecting local goods”. Bosnia, Kosovo and Serbia along with Albania, Montenegro, Moldova are all part of the Central European Free Trade Agreement (CEFTA) set up to help ex-communist states harmonise their economic and legal systems with European Union demands. That ban was only lifted in 2011 when the government in Pristina introduced retaliatory measures against the two countries that still refuse to recognise Kosovo as an independent state. Serbia’s President Aleksandar Vučić said talks on Thursday with his Kosovo counterpart Hashim Thaci and EU officials in Brussels, aimed at normalising ties, would be very difficult. “One cannot act as a drunkard in an airplane […], someone has to say when enough is enough,” the state-run Tanjug news agency quoted Vučić as saying. The EU has made the condition of Serbia and Kosovo normalising their relations crucial for advancing towards membership in the bloc. The two countries agreed in 2013 to resolve pending issues but have made little progress since.